Tsinghua University is often ranked as the first or second best university in mainland China. The school was first established in 1911 as a preparatory school for Chinese students later sent to study in the United States. As of 2003, Tsinghua University had 12 colleges and 48 departments, 41 research institutes, 35 research centers, and 167 laboratories, including 15 national key laboratories. In December 1950, fourteen students from Eastern Europe were enrolled into Tsinghua, and it was the first time for the universities of new China to accept foreign students. In the past six decades, Tsinghua University has enrolled a total of over 20,000 international students. In fall 2011, more than 3,450 international students from 112 countries are studying at Tsinghua University. Seventy-two percent of the international students are pursuing Bachelor’s, Master’s, or Doctoral degrees, and twenty-eight percent visiting for advanced studies, joint research, or Chinese language study. The numbers of the students from the Republic Korea, United States, Germany, Japan, France, Canada, Malaysia, Singapore, Indonesia, Australia, United Kingdom, Thailand, Italy, Vietnam and Russia rank the top 15. Tsinghua University has the largest number of international graduate students among China’s universities. There are nearly 1,200 international students pursuing Master’s or Doctoral degrees at Tsinghua, and many of them are graduates of world-famous universities such as Harvard University, MIT, Stanford University, UC-Berkeley, Oxford University, University of Cambridge, and University of Tokyo, etc. 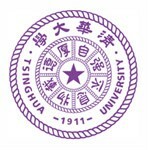 In the academic year 2012-2013, Tsinghua University will offer 38 Bachelor’s degree programs, 98 Master’s degree programs and 76 doctoral degree programs to the international students. In particular, eleven of the Master programs and one of the doctoral programs are delivered in English. Moreover, Tsinghua University also offers non-degree programs such as advanced study, student exchange, joint research, Chinese language study, and short-term/summer programs to the international students.